The growth of autonomous cars will spur the transition from an ownership model to cars as a service. The future of individual transport will be autonomous and shared – the journey to get there is already disrupting existing business models and will have a more profound impact over the next decade. The race to full autonomy between existing manufacturers (OEMs), tech giants like Google and Apple, and a sea of start-ups has wide reaching implications for businesses of all sizes. Beyond the impact on insurers and driving instructors, this will drive a fundamental shift in the way consumers view car ownership and a response from OEMs who will seek a more direct relationship with customers. In just eight years, Uber has gone from start-up to global mobility giant, and its impact on personal transportation around the world has been massive. One effect has been to contribute to the declining desire to own a car, particularly in busy economic hubs. This is being reflected in a rapid rise in technology companies facilitating carpooling and peer-to-peer car rentals through online platforms and the growing interest of the major OEMs in shared mobility solutions. At present, car ownership is the norm. However, as consumers become ever more accustomed to the ‘uberisation’ of services it’s likely that the traditional model of car ownership will be inverted. We will move towards cars as a service (CaaS) – a change in consumption of vehicles away from ownership and towards a subscription or pay-as-you-go model for access. This model is already being applied across a wide variety of sectors. For example, there is little doubt that subscription-based streaming services like Netflix have contributed to declining sales of disks. For an item that is only used a handful of times, physical DVDs come with a significant price tag attached, whereas platforms such as Netflix democratise film and TV show consumption and substantially reduce cost per use. Offerings like BMW’s DriveNow and Avis’ Zipcar show the direction of travel for car usage. A related development is the spread of peer-to-peer models. For example Airbnb and others are facilitating the supply of a wide range of alternatives to standard hotel accommodation by enabling individuals to offer their personal homes for rent. In the mobility sector companies like Getaround in the US, Drivy in France and easyCar in the UK provide the opportunity for individuals to share access to their vehicles. Combined, dedicated shared cars supplemented by private cars rented out on a peer-to-peer basis provide a cost-effective and convenient alternative to ownership. And this trend is likely to continue. Research from the RAC shows that cars actually sit unused on our driveways 96% of the time. For such an expensive possession, we only use our cars for a tiny fraction of time. In effect car owners pay an option cost to have individual mobility whenever they need it. In the past this option cost was something car owners were prepared to pay to have freedom of movement but with access to shared resources ever more reliable this cost becomes increasingly unnecessary. Meanwhile, millennials and their younger cohort, Generation Z, are placing less and less emphasis on ownership. Instead, they want their items and services available on demand, paid for on a more manageable, per use or per month model. This partly reflects the extraordinary debt loads that most carry when they leave full-time education. It also reflects a rational decision of these generations not to invest in long-term purchases that will depreciate when housing takes an increasing share of wallet. As the chronic shortage of housing persists and governments prove unwilling or unable to solve it, prices in key economic areas skyrocket and young people are becoming less and less willing to spend money on items that aren’t absolutely necessary –let alone spend thousands of pounds on a car they will almost never use. Other developments are also eating further into the meagre 4% of time car owners are using their vehicles. Better connectivity and a recognition of the productivity benefits have contributed to a 20% increase in home workers in the UK over the last ten years reducing the need to drive regularly to the office. Major companies are increasing relocating out-of-town headquarters to downtown locations that are better served by mass public transport. Cycling has become increasingly popular as a means of local transport, a trend likely to be accelerated with the arrival of MoBike and competitors in the UK this year. Even having a vehicle to collect groceries and shopping is becoming unnecessary thanks to the rise in online supermarkets and home delivery grocery subscriptions like HelloFresh. 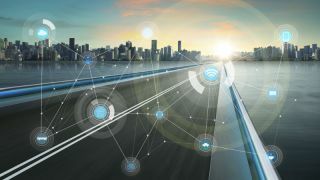 The switch from ownership to CaaS will be largely driven by the growth in autonomous cars and in-car connected technologies. While tech-led brands such as Uber and Lyft are investing in autonomy to safeguard their positions once the legislative environment catches up with technological developments, OEMs are accelerating efforts to get closer to their customers which will mean disruption for car dealers and rental firms. Data will become an ever more valuable resource and all players will look to maximise the amount that they can control exclusively. Growth in demand for CaaS will not only impact the automotive industry, but all of its connected industries. For example, insurance companies are already offering short term cover for peer-to-peer car rentals and pay-as-you-go insurance for car owners. Once driverless cars come to the mass market it is expected that accident rates will fall precipitately – but liability for decisions taken by software will be an interesting area for dispute. While cars may no longer be bought as status symbols, it remains to be seen whether they will lose their power as a signalling mechanism – if OEMs succeed in delivering branded fleets, for example, you will still have the choice of BMW or Kia as your mobility provider. But the more mobility is seen as a commodity, the more price and convenience will dominate choices –at easyCar we are already seeing the most popular cars to rent out are economy cars. Before we reach full autonomy, in-car connected technologies which monitor driving style and habits and facilitate app-based access in a secure and reliable way will help CaaS providers tailor their offering to specific drivers’ personal needs. A vast number of sectors and professions will be affected by the seismic shift from ownership to CaaS, and as investment in autonomy and sharing continues apace he industry will develop in ways which are not easy to predict. However, what’s already clear is that emerging generations won’t settle for expensive, inconvenient models of consumption, and are already voting with their wallets. Car ownership is next – the winners will be those that embrace the revolution now.